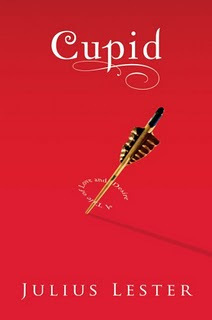 This is the story of Cupid—the god responsible for heartache, sleepless nights, and all those silly love songs—finally getting his comeuppance. When the god of love falls in love himself, things are bound to get interesting. And when he crosses his mama, Venus, in the process...Well, things could get downright messy. Julius Lester brings his renowned storytelling skills to one of the world's most famous tales. In doing so, he weaves a romantic, hilarious drama brought to life with a bold new voice that's loaded with sly wisdom. The author's retelling is sure to draw new readers to classic mythology while satisfying old fans as well. In a Powell's Ink Kids Q&A Interview with Julius Lester, he said, "I write for all ages. But I enjoy writing for children because children like stories. Literary fiction has, to a great extent, moved away from story and seems to be written for the academic literati. I like stories. I like to tell stories; I like to listen to stories. So do children." To enter, email me (scroll and click envelope) with your name and snail/street mail address and type "Cupid" in the subject line (Facebook, JacketFlap, MySpace, and Twitter readers are welcome to just privately message me with the name in the header; I'll write you for contact information, if you win). Deadline: Feb. 12. Samuel Gerard strives to be like every other 12 year-old: he hangs out at the bike jumps or at the mall with his friends, finds creative ways to avoid schoolwork, and repeatedly asks his parents questions that he knows have no answer. But when his dad embarks on a religious quest to 'save the world,' Samuel’s own live is violently upended. Literally starting the day after his father leaves, Samuel finds himself on a dizzying, often humorous series of adventures, from being covered in leeches to accidentally blowing up his friends garage, from cheering up his distraught mother to supervising his feisty, racist grandma, and from making out with the most popular girl in school to a horrific, life-changing fight with the toughest girl in school. And as Samuel tries to sort out the world around him, he begins his own journey of self-understanding, taking him squarely into the heart of his Denver neighborhood which is already threatening to burst from changing social values and mass immigration. 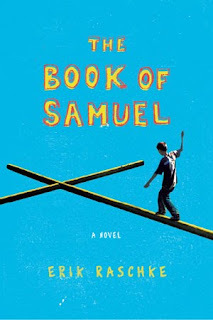 While The Book of Samuel tells a gripping tale about the tumultuousness of being a teenager at the crossroads of religion and community, family and friends, new-found love and deep-seated hatred, the novel is ultimately a story about the joys and pains of a boy growing up in middle-America. In the video below, meet author Erik Raschke. Note: it's a little over eight minutes long. From the official website: "Erik Raschke was born and raised in Denver, Colorado. He received his B.A. in English from Earlham College and his M.A. in creative writing from the City College of New York. He studied Peace and Reconciliation in Northern Ireland during The Troubles and, later, served in Armenia as a Peace Corps volunteer. A certified teacher with the New York Board of Education, he taught for many years in Washington Heights, in upper Manhattan, as an English teacher. He currently lives with his family in Amsterdam." To enter, email me (scroll and click envelope) with your name and snail/street mail address and type "The Book of Samuel" in the subject line (Facebook, JacketFlap, MySpace, and Twitter readers are welcome to just privately message me with the name in the header; I'll write you for contact information, if you win). Deadline: Feb. 28. Note: one copy of each book will be reserved for a teacher, librarian, or university professor of youth literature; the other will go to any Cynsations reader! An Interview with Jennifer Hubbard by Saundra Mitchell from Making Stuff Up for a Living. Peek: "I often write male characters from a first-person POV. It's not a conscious choice. A character's voice will come into my head and start telling a story. In this case, I had the starting situation: a boy with a notebook left behind by his secret girlfriend, who had just died." 'Terabithia' Author: Reading in a MySpace World: an interview with Katherine Paterson by Jeanne Sager from momlogic. Peek: "...when I realized my children were reading a book that had content in it that would bother me, and I felt they might not be mature enough to handle it, I would always read the book myself and be available to talk about it." Source: @MCLibrarian. For Authors Only: a newsletter about advertising and promotional opportunities from Young Adult (& Kids) Book Central). Peek: "Please pass on to authors--new, old, pubbed, pre-pubbed, famous, not-famous...we'll have something for everyone." Enter to Win The Expressologist by Kristina Springer (FSG, 2009), Stupid Cupid by Rhonda Stapleton (Simon Pulse, 2009), and A Match Made in High School by Kristin Walker (Razorbill, Feb. 2010) from Kristin Walker at All the Little Things. Deadline: midnight EST Feb. 7. See more information. Read a Cynsations interview with Kristina. Interview: Publisher Jason Low of Lee & Low Books from Multiculturalism Rocks! Peek: "...try to be bold and surprise us. Editors love to discover original stories they have not seen before and are willing to work harder to help you realize your vision if it is unique." Read a Cynsations interview with editor Louise May of Lee & Low. This Week's New Releases from Teenreads.com Blog. Highlights include Dope Sick by Walter Dean Myers (Amistad), After Ever After by Jordan Sonnenblick (Scholastic), and Scarlett Fever by Maureen Johnson (Point). Courage and Confidence by Kristi Holl from Writer's First Aid. Peek: "If you lack courage and confidence about your writing, I'm beginning to think that the best thing you can do for that is to just write more. A lot more." Three Things Writers Can Learn from Photographers by Carolyn Kaufman from QueryTracker. Peek: "Capture the most important moments. Don’t bother sharing the ones that don't matter." SCBWI-IL Prairie Writer’s Day Conference 2009 by Tabitha Olson from Writer Musings. Peek: "Today, I’m going to share what Alisha Niehaus, editor at Dial Books for Young Readers, had to say about middle grade novels." Interview with Marguerite Abouet by The Brown Bookshelf from 28 Days Later: A Black History Month Celebration of Children's Literature. Peek: "My writing process rests mainly on creating character portraits. I like to determine their psychology, to accompany them through a history, and my imagination is fed by their interactions." Author Interview: Jessica Lee Anderson by Mr. Maurer from Coffee for the Brain. Peek: "I spent a great deal of time researching schizophrenia, and I communicated with many individuals battling the disease which helped me to understand my protagonist and to get inside his head." Great Kid Books: A site to help parents learn about great books for their kids ages 4 - 14. Peek: "I'm a librarian at Redwood Day School, an independent K-8 school in Oakland, CA. I'm also the mom of 3 kids, ages 5 - 10." Six Things I Learned from Online Pitches by Kate Fall from Author2Author. Peek: "Use concrete, specific nouns in your pitches. In pitch world, lots of people discover things too late, uncover secrets, make fatal mistakes, and want things that come at a heavy price." Interview: Rene Colato Lainez by April from Cafe of Dreams. Peek: "René Has Two Last Names (Pinata, 2009) is the story of René, an immigrant boy from El Salvador. The first day of school, he discovers that his mother’s last name is missing in his name tag. He decides to add it himself." Rita Williams-Garcia on Life and Writing by Stephanie Greene from Through the Tollbooth. The first in a week-long series. Peek: "Like Delphine, I was glued to the news. My father was in Vietnam. I heard Robert F. Kennedy speak at Monterey Airport—I even took a picture with him. Unfortunately, we were never sent a copy." See also Rita on Quitting Her Day Job, Creativity, the Continuing Conversation. Read a Cynsations interview with Rita and her National Book Award report. Author Jo Whittemore is kicking off the March release of her new book Front Page Face-Off (Aladdin MIX, 2010) with a series of contests spanning the month of February, the "Four Weeks of Face-Off." Each week on her blog, Jo will be featuring a different character from the book and readers will have the chance to comment and win a prize related to that character. "Feminist" is Not a Dirty Word by Colleen Mondor from Chasing Ray. Features insights from Lorie Ann Grover, Loree Griffin Burns, Margo Rabb, and Zetta Elliott. Peek: "...what does it mean to be a 21st century feminist and on the literary front, what books/authors would you recommend to today's teens who want to take girl power to the next level?" Read Cynsations interviews with Margo and Zetta. Interview with C.K. Kelly Martin from The Compulsive Reader. Peek: "It's a shock to me that we're in the twenty-first century and society is still circulating the idea that being a guy means being aggressive and otherwise unemotional and being a girl means being nurturing and naturally better behaved." Read a Cynsations interview with C.K. People Who Need People: How 11 intrepid users get the most out of social media by Kathy Ishizuka from School Library Journal. Paula Chase Hyman said: "The relationships we've built have often led to personal appearances, invites to sit on panels, and book sales. Most importantly, it’s resulted in making great books more visible among a very important audience—librarians, parents, and teachers." Source: @mitaliperkins. Interview with Debbie Gonzales by Melissa Buron from Book Addict. Peek: "It’s up at 5 a.m. for an hour of creative work. And then, from 8:30 a.m. until 4 p.m. it is all about my business. After spending some evening time with my sweet hubby, I might sneak back to my desk and crawl back into my fiction for a few hours before calling it a great day." Simon & Schuster is holding a special contest for TeensReadToo.com readers just in time for Valentine's Day! Five (5) lucky winners will receive gift sets including titles from their Romantic Comedies series! See more information. The McVeigh Agency Blog: a new blog from agent Mark McVeigh. Peek: "After ten years as an editor, I switched sides and became an agent. I represent writers, illustrators, graphic novelists, and photographers of works for both adult and children." Read a Cynsations interview with Mark. Jane Yolen’s 20 Rules of Writing by Julie from Write Up My Life. Peek: "Go easy on adverbs. Apparently, you could have made a 200-page book just out of the adverbs in the fourth Harry Potter book. But, as Jane says, 'You are not J.K. Rowling. And neither am I.'" Young Adult Fiction: a class taught by Sara Zarr from The Glen Online. Peek: "Through lecture, writing assignments/exercises, and suggested readings, we'll talk about what young adult fiction is, and address fundamental fiction matters like voice, character, and plot in ways that are specific to the YA category." Contact Sara for more information. The deadline for the 2010 Writers' League of Texas Book Awards has been extended to March 15. Click here (PDF) for submission guidelines and entry form. Any book published in 2009 is eligible. 28 Days Later: Kekla Magoon The Brown Bookshelf from 28 Days Later: A Black History Month Celebration of Children's Literature. Peek: "In retrospect, this rough patch became a deeply rewarding moment, because I held true to my vision for the book, which turned out to be the right thing (judging by my own happiness, as well as by the reviews and awards!)." See also the feature on Sharon G. Flake. Coretta Scott King Book Award Curriculum Resource Center: "...a free, multimedia, online database for educators and families, featuring more than 250 original recordings with the award-winning authors and illustrators, and hundreds of lesson plans..."
Sara Bennett Wealer: a new official website from the author of Rival (HarperTeen, 2011). Note: she's originally from Manhattan, Kansas, "the little apple!" See her site for giveaway information! Nine Traits of Sympathetic Characters by Darcy Pattison from Fiction Notes. Peek: "Apparently, I generate initial sympathy for my protag[onist], but at some point, the reader loses the connection to him. So, there’s work to do. Here are things I’m looking at." See also Use Character Traits to Make Your Character Sympathetic. Read a Cynsations interview with Darcy. A Chat with Olugbemisola Rhuday-Perkovich, author of 8th Grade Superzero by Mitali Perkins from Mitali's Fire Escape. Peek: "Madeleine L'Engle wrote once that everything an artist does is her witness, we cannot hide what we are. And I think that's true. Whatever you believe, whoever you are will come out in your work." Giving Critique: tips from Jennifer R. Hubbard. Peek: "Use the sandwich method. If you haven't heard of this, it's the practice of beginning and ending your critique with positive statements, pointing out what you liked about the piece. All the suggestions for improvements get sandwiched in the middle, and the praise on either end is encouraging to the recipient." Q & A with Carrie Jones by Kate Pavao from Publishers Weekly. Peek: "There's a sort of larger-than-life aspect that really tails into what novels are often about: giving people hope and a place to escape. I live in fairly rural Maine, and I know locally there are more teens having more issues in school because there are more issues at home. Parents are stuck trying to heat their homes in 17-degree weather and they’re not getting as many hours at work or bonuses or cost of living increases." Source: April Henry. Interview with Linda Sue Park from Spellbinders. Peek: "What do I mean by a personal stake? Most often it means 'family,' a person's ethnic background, of course. But fine stories about other cultures have been written by people who married into that culture, or adopted children from that culture, or lived among the culture for many years. Those are not the only ways, of course; beyond that it depends on the individual. Thorough research is vital to any such story, of course, but it is no substitute for a personal stake." Read a Cynsations interview with Linda Sue. Check out the book trailer for Black Is For Beginnings by Laurie Faria Stolarz, illustrated by Janina Gorrissen, adapted by Barbara Randall Kesel (Flux, 2009). Writing as a Profession: a video from YA author Maureen Johnson. Learn more about her new release Scarlett Fever (Point, 2010). In the Multicultural Minute, Renee Ting of Shen's Books asks Christine Taylor-Butler: What is your one wish for the future of multicultural children's books? Great news! I'm closing in on this month's deadline on the revision of Blessed (Candlewick, 2011)! That said, it's still a super-busy time. If y'all could hold off on any non-essential messages until I give the green light, I'd greatly appreciate it! Note: if you're wondering what my life is roughly like, see the Maureen Johnson video above. A Conversation about Book Covers and Race by Debbie Reese at American Indians in Children's Literature. Peek: "I wonder how readers or buyers respond to one of my favorite book covers (and books)? I'm thinking of the cover for Rain is Not My Indian Name...." Note: this is part of a larger, ongoing conversation in the kidlitosphere. 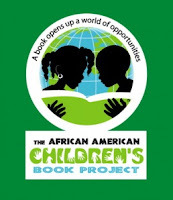 18th Annual African American Children’s Book Fair will be from 1 p.m. to 3 p.m. Feb. 6 at Community College of Philadelphia (Gymnasium)(17th Spring Garden St.). The event is free and open to the public. For more information, please call 215-878-BOOK. Source: The Brown Bookshelf. 2010 Houston-SCBWI Conference will be held Feb. 20 at the Merrell Center in Katy. Registration is now open. Faculty includes Cynthia Leitich Smith, award-winning author and Vermont College of Fine Arts faculty member; Ruta Rimas, assistant editor at Balzar & Bray/HarperCollins; Patrick Collins, creative director at Henry Holt; Alexandra Cooper, senior editor at Simon & Schuster; Lisa Ann Sandell, senior editor at Scholastic; Nancy Feresten, vice president and editor-in-chief National Geographic Children's Books, and Sara Crowe, agent at Harvey Klinger. Note: "All the speakers will be doing critiques. Critique spots are limited." See registration and information.